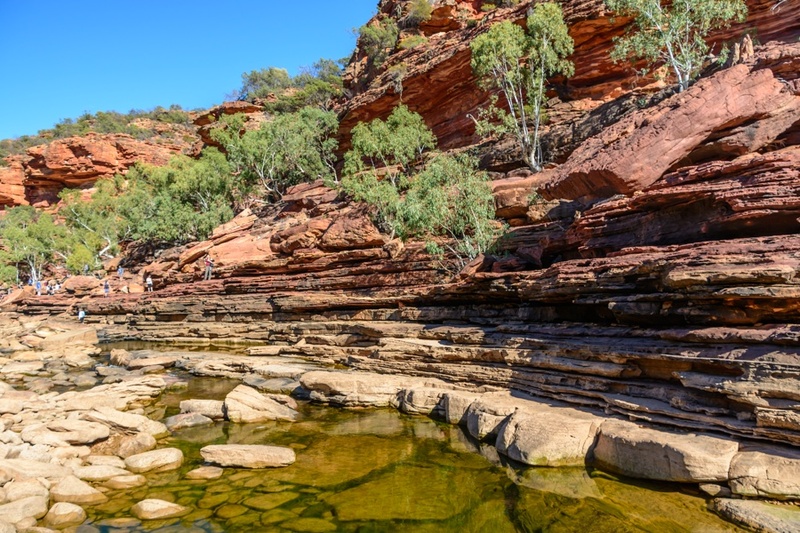 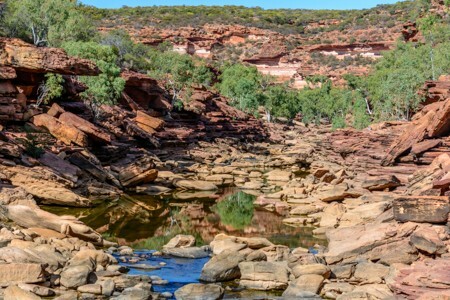 Kalbarri National Park, in Western Australia, has a dense network of canyons excavated by Murchison River and offers the opportunities for exciting hiking among colorful rocks of bizarre shapes and extreme landscapes that explain the geological history of the continent. 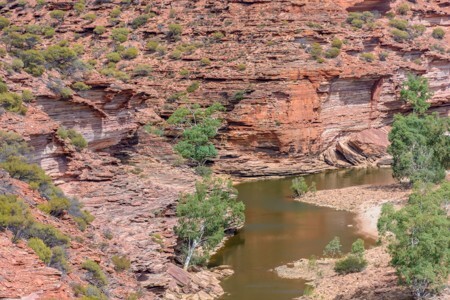 How to get to Kalbarri National Park? 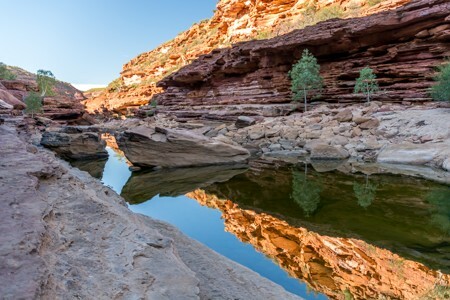 Kalbarri National Park is located almost 600 kilometers north of Perth, in Western Australia, and is a relaxing 6-7 hours drive along an highway. 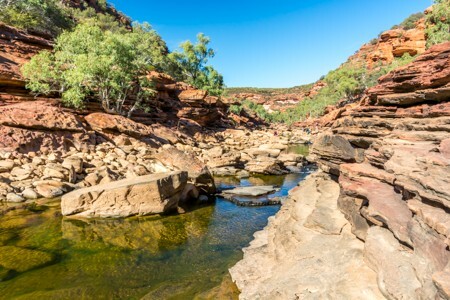 There are also bus companies offering scheduled trips and the destination is usually included in every Western Australia fully inclusive tour. 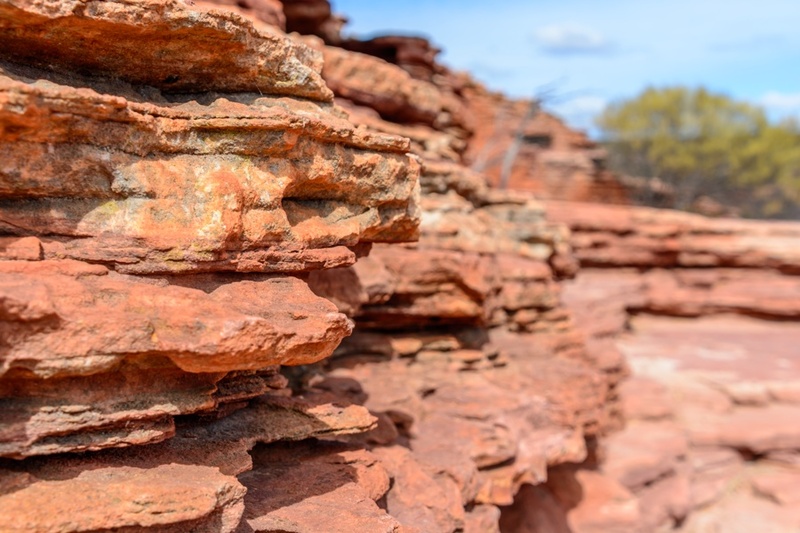 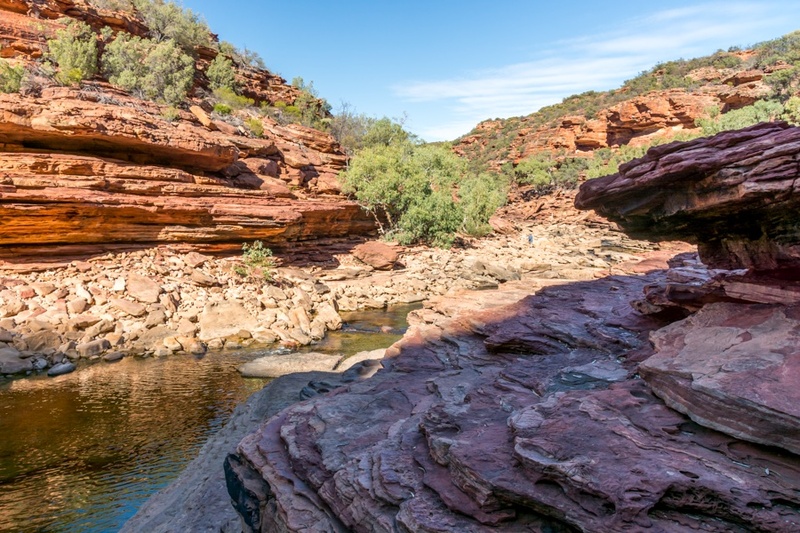 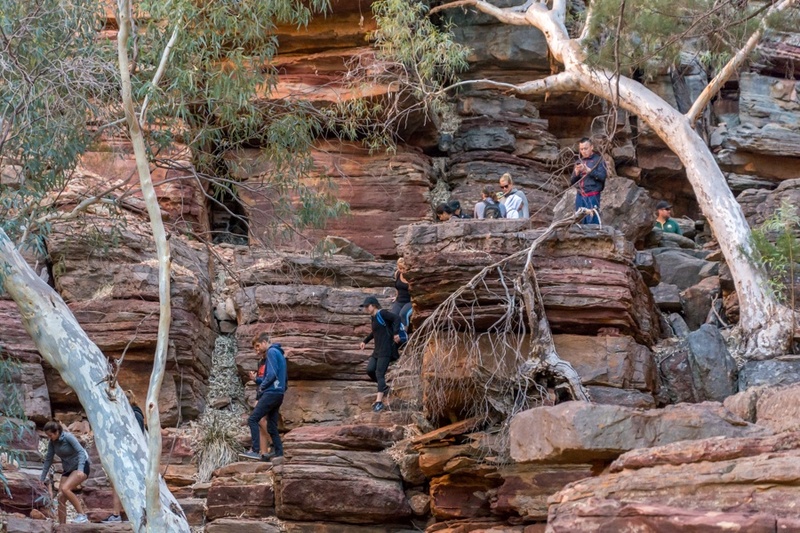 One of the most surprising things about Kalbarri National Park is that the geological features lie along the surface of a boundless plain, where you could never imagine to find deep canyons. 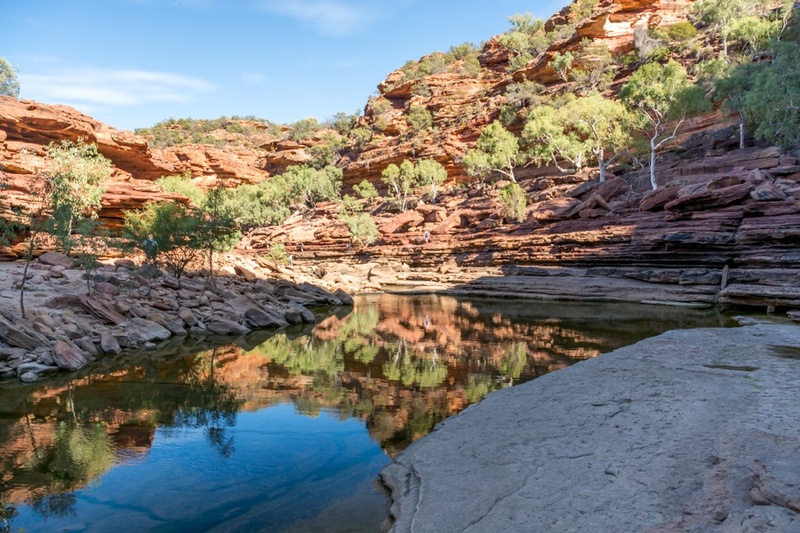 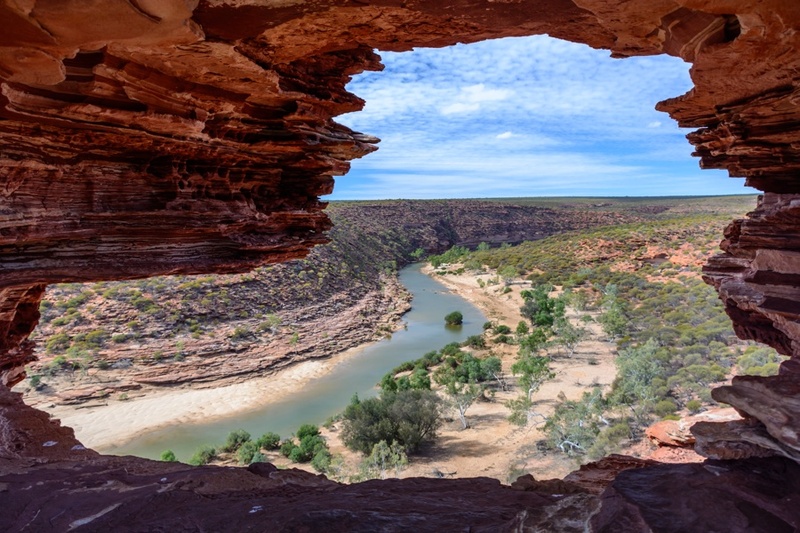 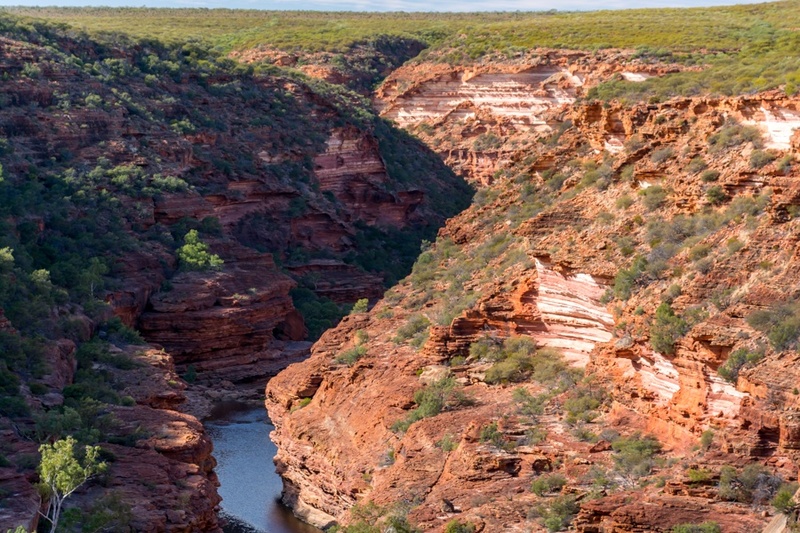 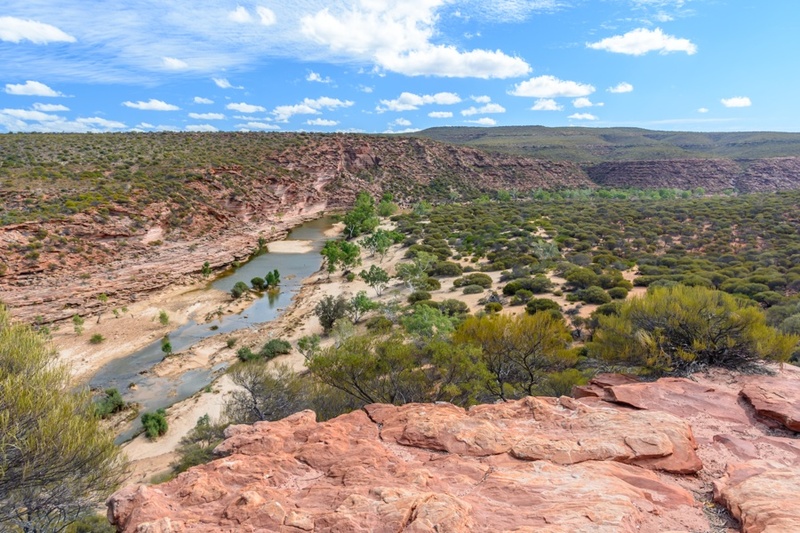 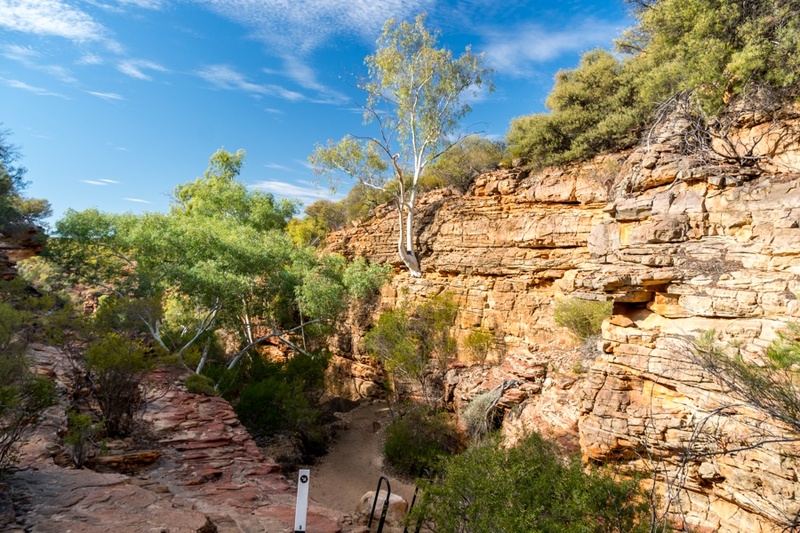 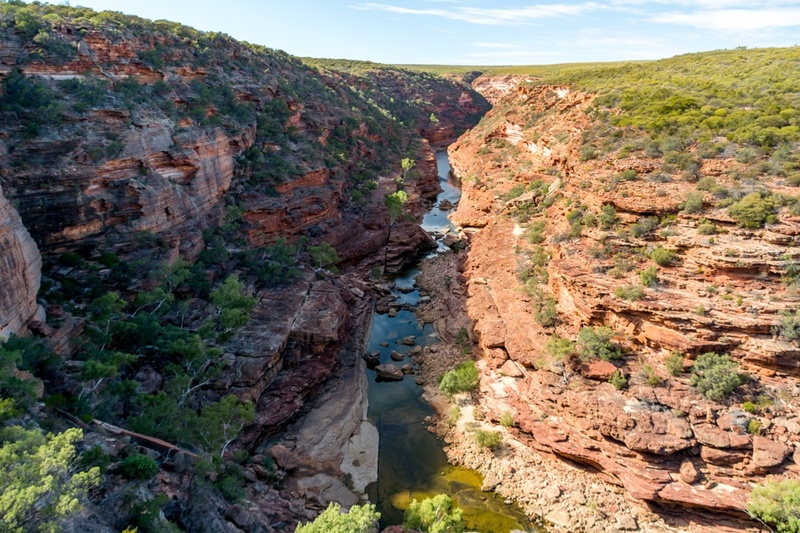 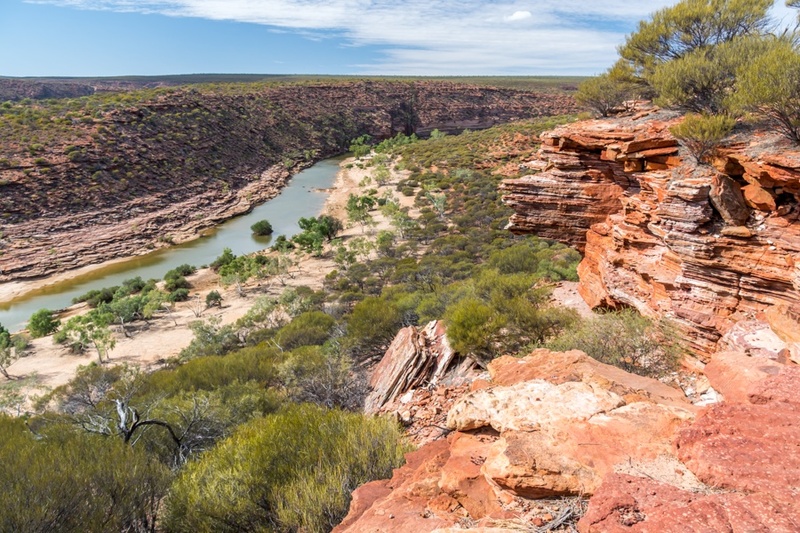 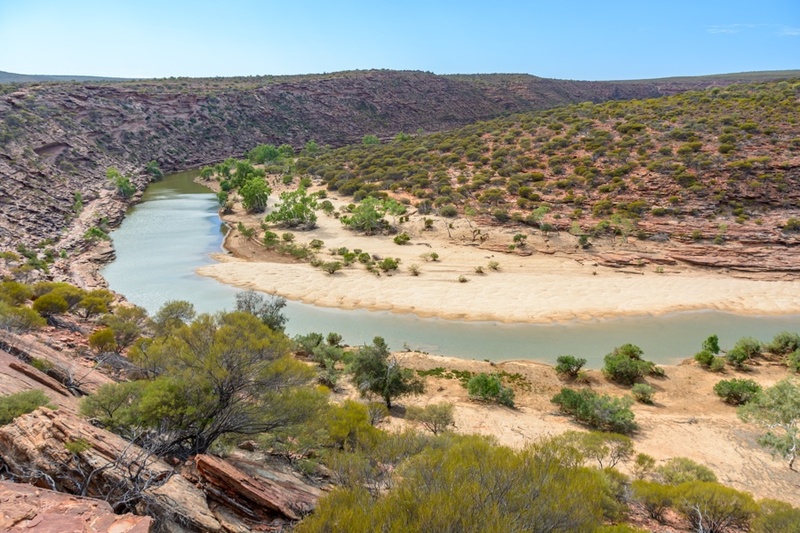 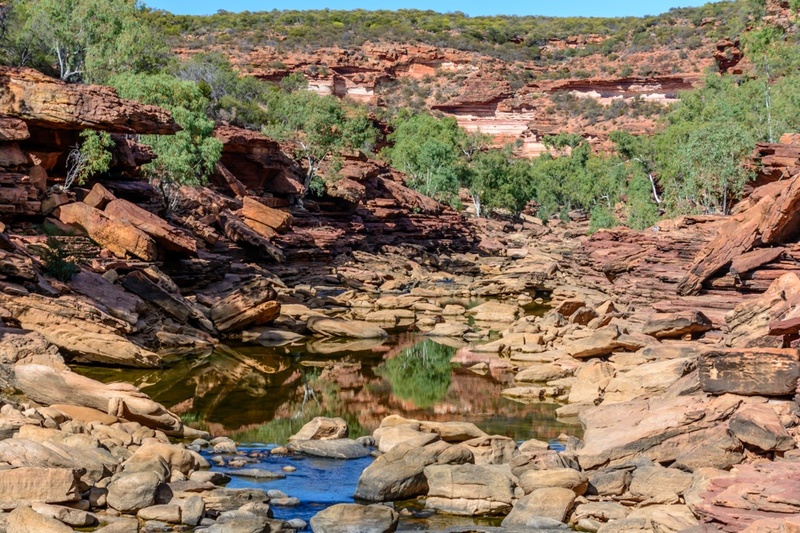 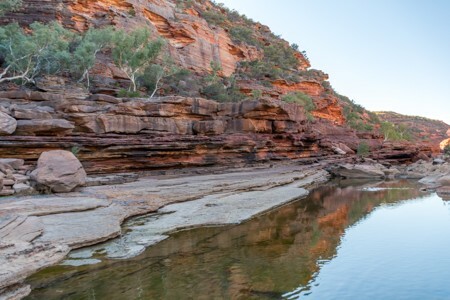 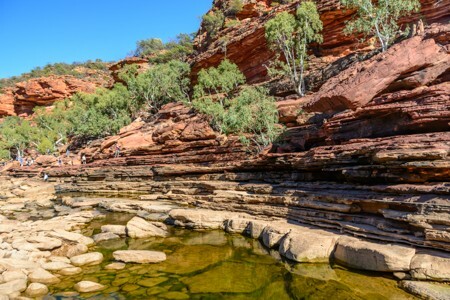 Kalbarri National Park has canyons and narrow gorges excavated by Murchison river. 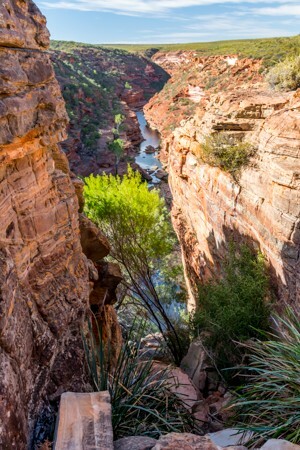 The trails allow visitors to observe the landscape from above, before going down into the canyons. 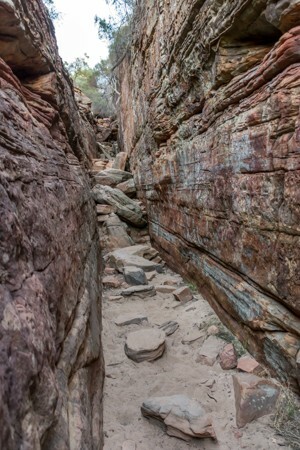 Pictures of a canyon in Kalbarri taken before going down into the depths through a steep path. The panoramic point is called Z-Bend for the shape of the canyon excavated by Murchison river. 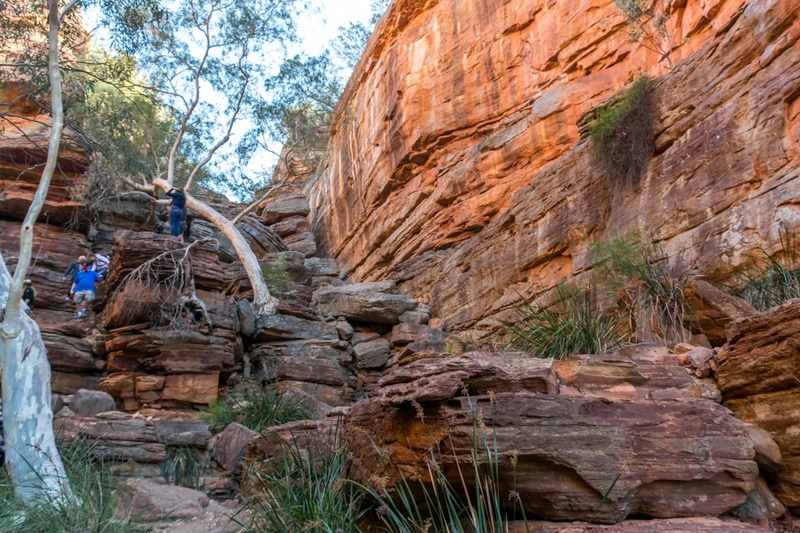 The descent inside the canyon is possible through a rather steep, but not too difficult, path. Soon, however, the panorama that will be offered will be absolutely spectacular. Sometimes the trail goes through mini-canyons that resemble a strange cut in the rock. 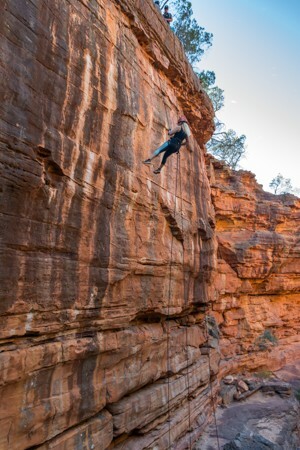 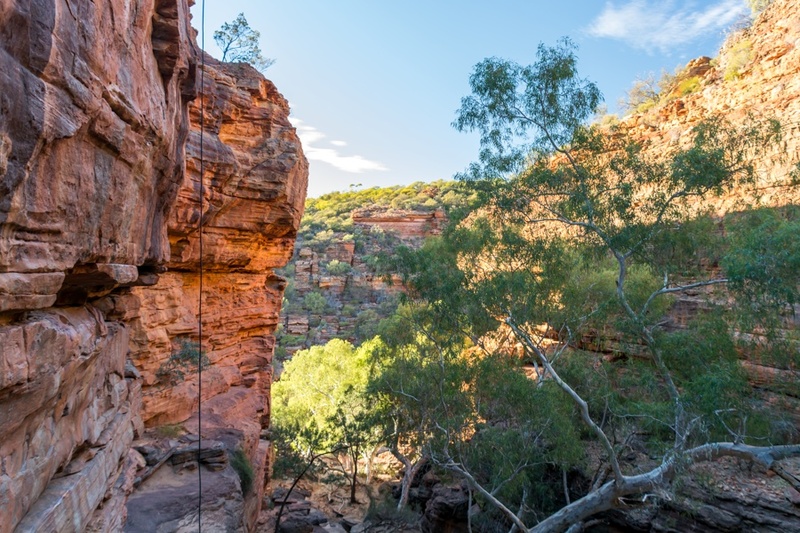 In Kalbarri, you can try the thrill of abseiling with ropes along a perfectly vertical canyon wall. 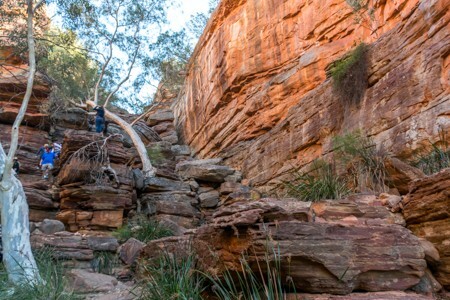 No experience is required and all safety standards are ensured to eliminate any kind of accident. The descent into the canyon is still possible even for all those who do not want to abseil by ropes: it is enough just to follow the trail among big boulders. 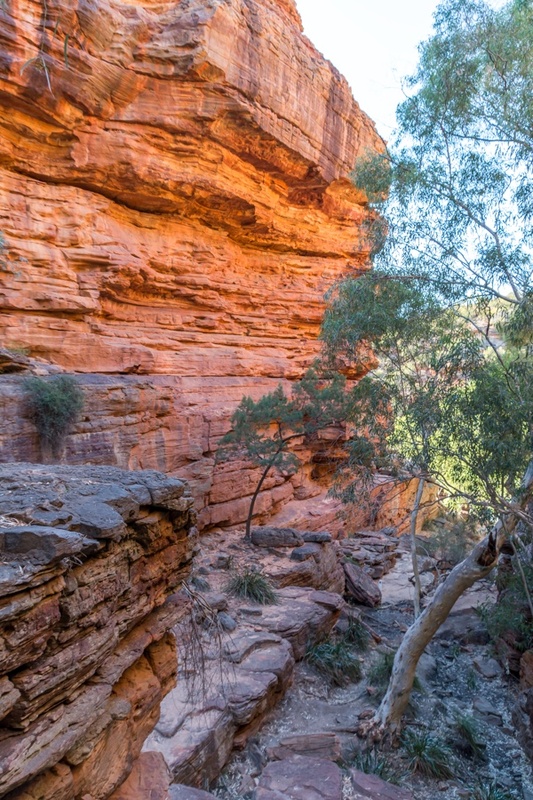 The orange wall of the canyon. The landscape in the bottom of the canyon, among colorful rocks and small natural pools created by Murchison river. 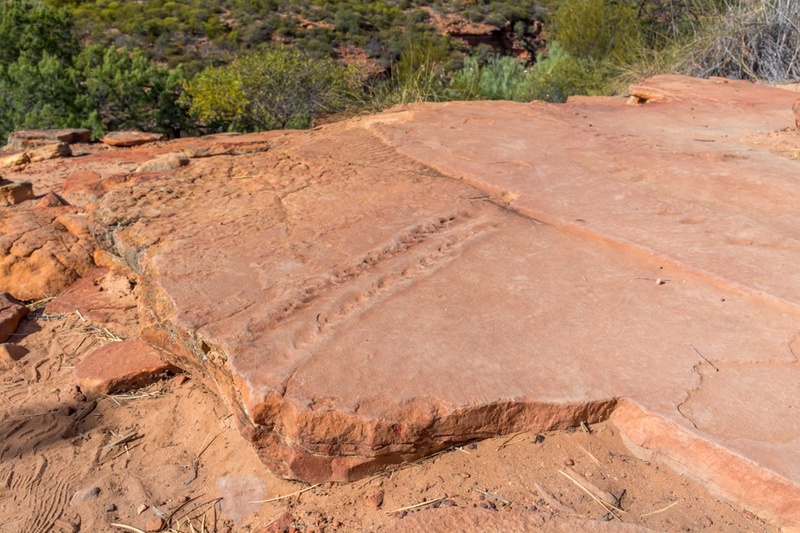 Kalbarri National Park, perhaps 400 million years ago, was the home of a gigantic arthropod known as Euripterida or Sea Scorpion, which left its footprints on some rocks (later preserved as a result of some devastating natural disaster). 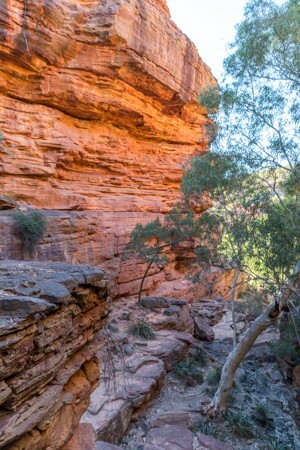 The excursion to Kalbarri National Park continues on another path along the edge of a canyon. 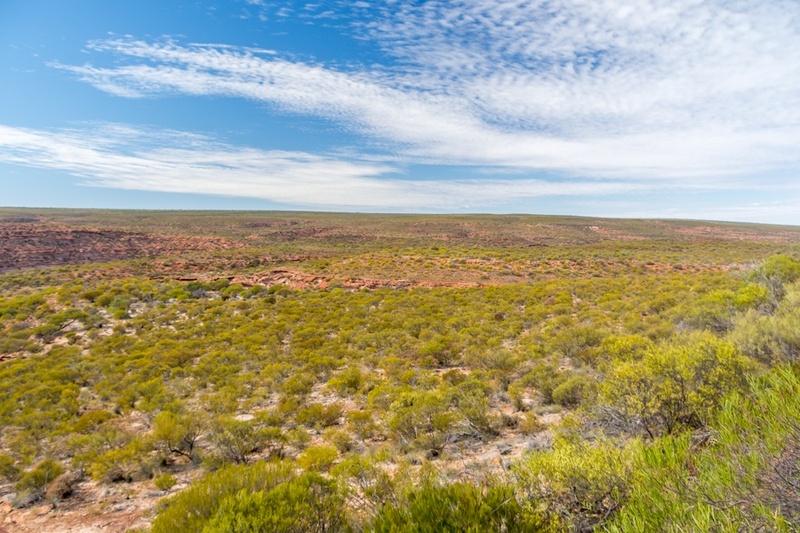 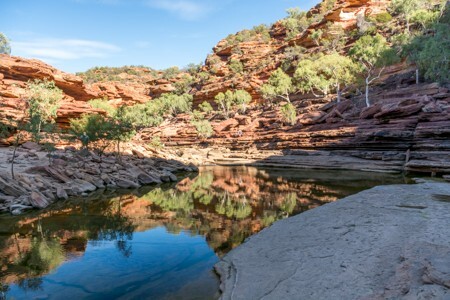 Kalbarri offers a dense network of trails and a full visit to this national park would take several days, instead of the traditional half day included in most standard itineraries. 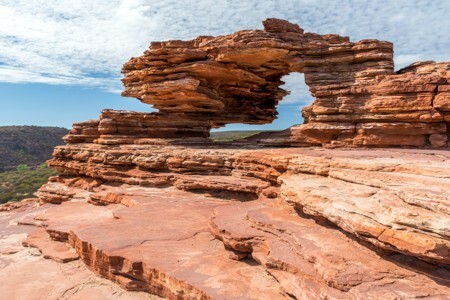 The Nature Window is a curious rocky arch formation and one of the most popular spot in Kalbarri National Park. 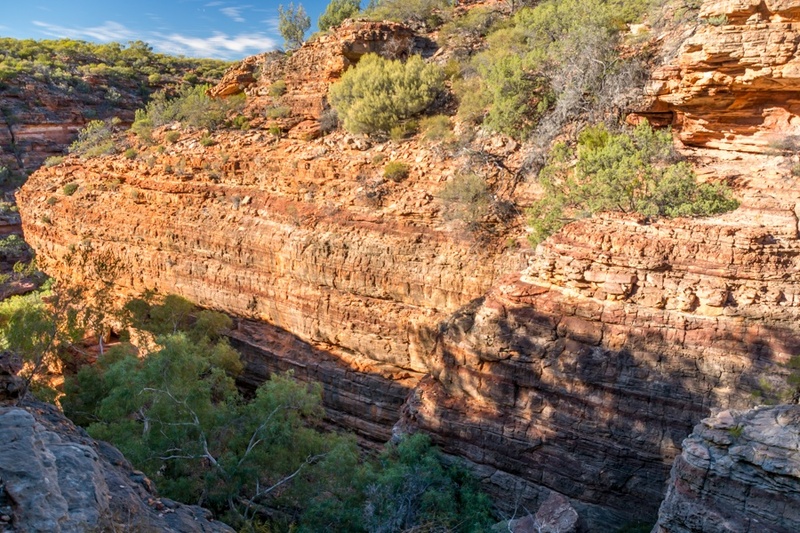 The layered rocks that make up the walls of the Kalbarri canyons.